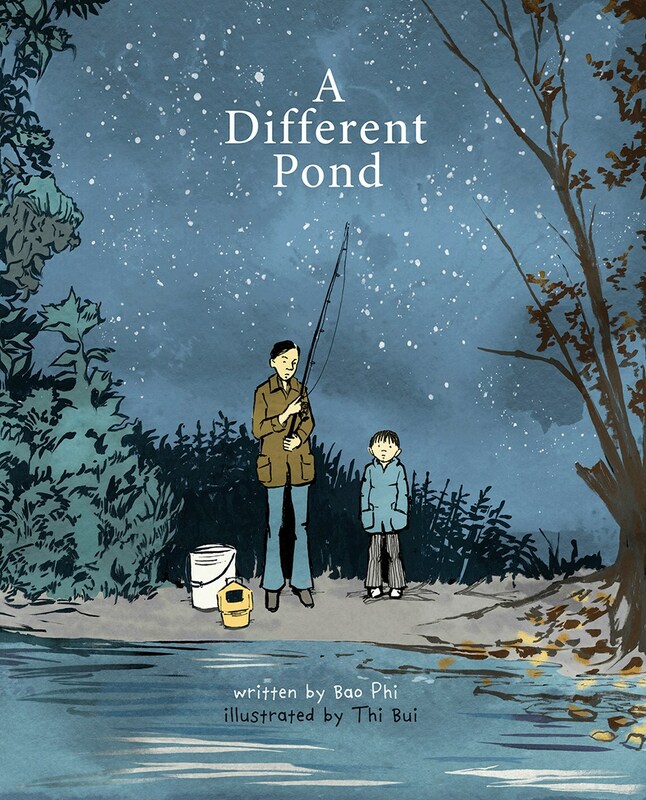 Much of the action in A Different Pond takes place in humble settings: a bait shop, a pond just off the side of the road, a small family home. 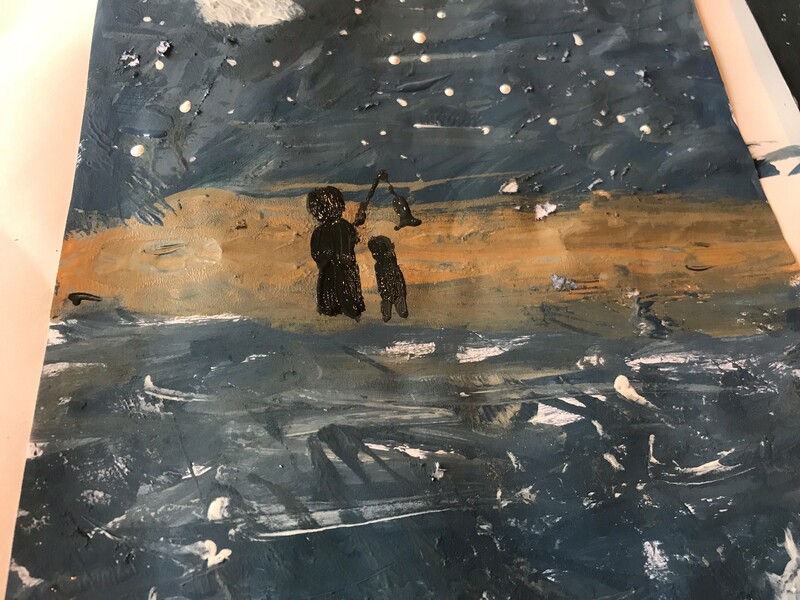 And yet, there’s a sense of magic and grandeur throughout—thanks in no small part to the illustrator’s depiction of a luminous swirling sky scattered with stars, and of rippling, reflective water below. 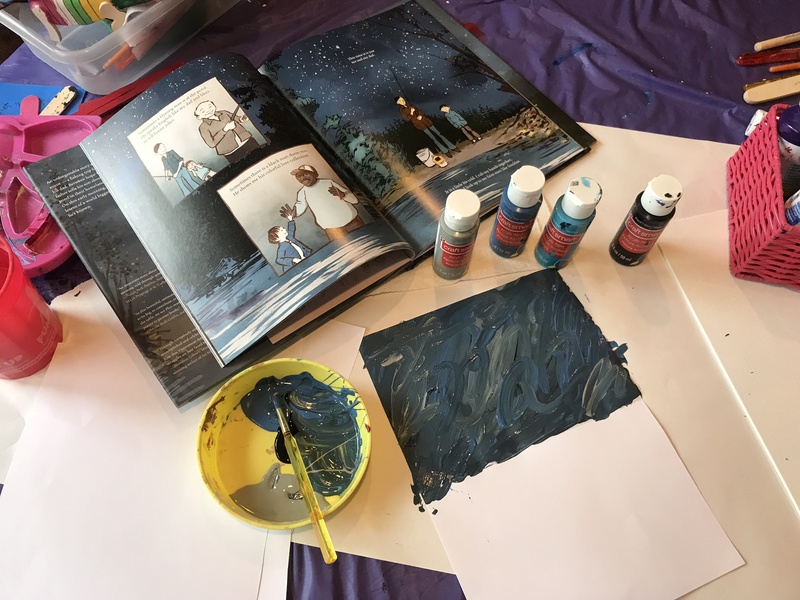 With this craft inspired by the book, children will mix and blend their own paints, explore symmetry and reflection, and sprinkle stars across the sky. 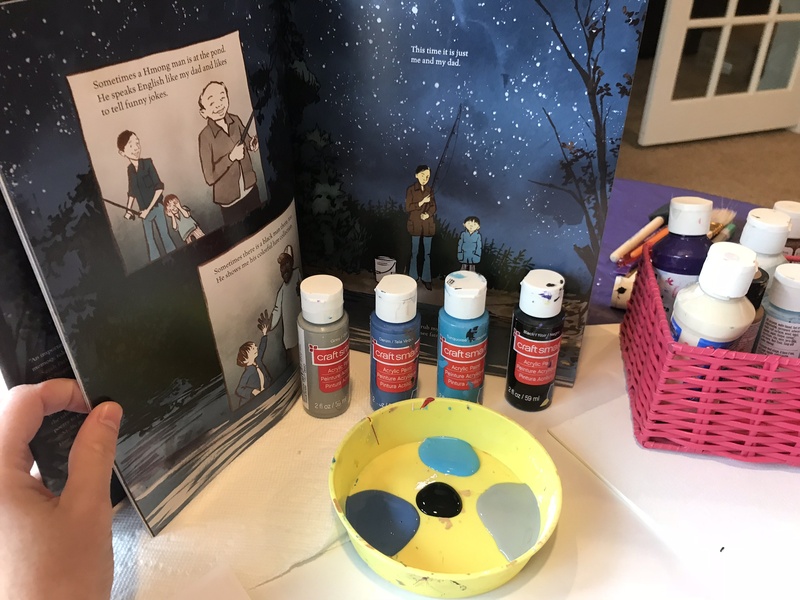 We used colors that coordinate with the palette in the book, but you can do this craft with any combination of colors you love. 1. 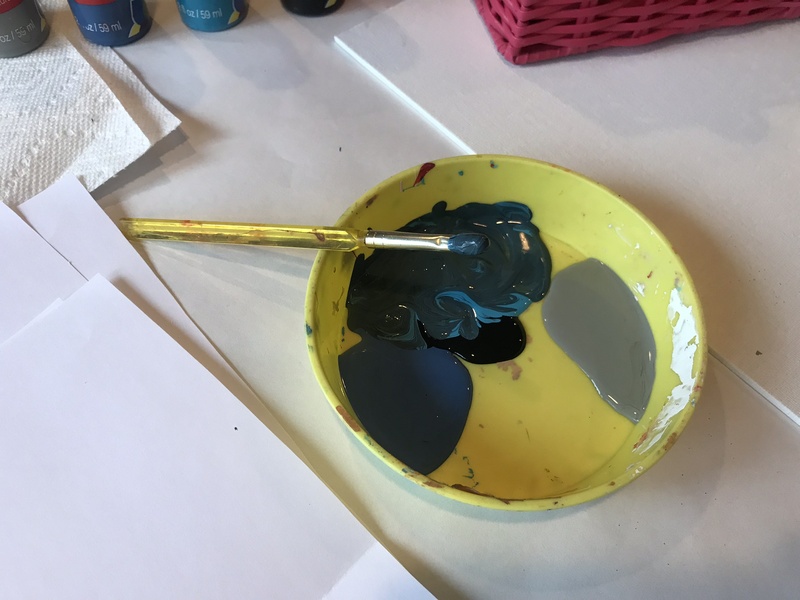 Pour some of your black, blue and grey paints into a bowl or plate. Mix some of the colors together to make a variety of shades. 2. Fold a piece of paper in half, crease, and reopen, dividing the paper into top and bottom sections. 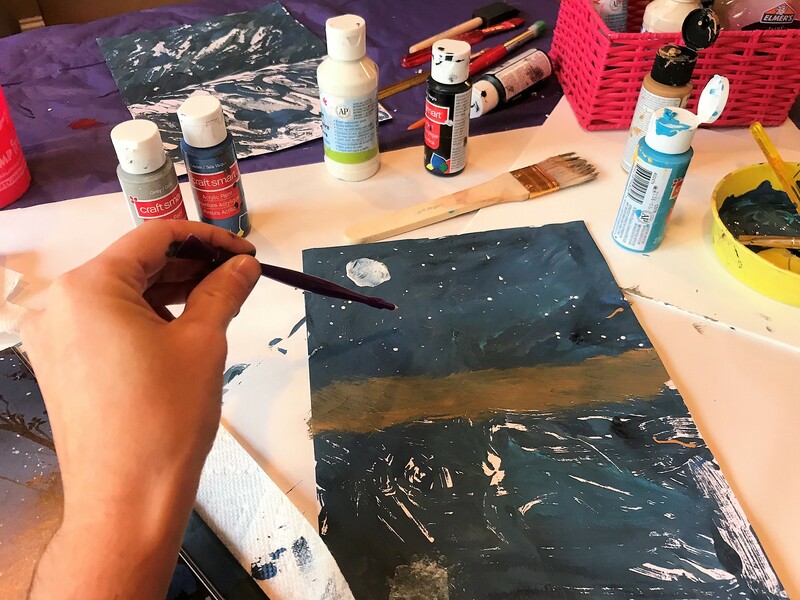 Mixed media or watercolor paper works best, but you can use printer paper or construction paper if that’s what you have on hand. 3. 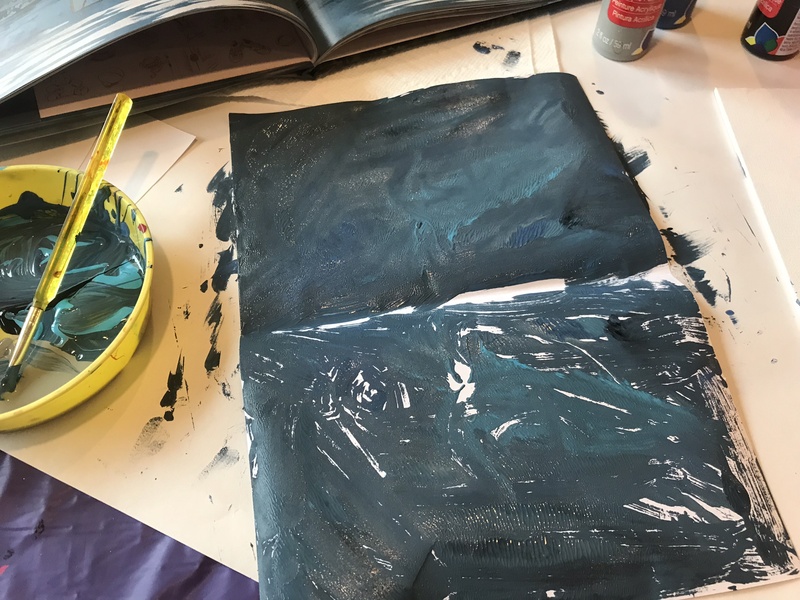 Thickly spread and swirl your paints onto the top half of your paper. Use lots of paint. Work quickly so the paints do not begin to dry before the next step. 5. Open the paper. Use your paintbrush to fill in any thin or empty spots, if necessary. 6. Paint a strip of brown just above the fold. Make it as wide as you like. Paint a round moon in the “sky” using lots of paint. 7. Fold again to transfer the moon and “land” to the bottom of the paper. You’re getting good at this! Feeling fancy? 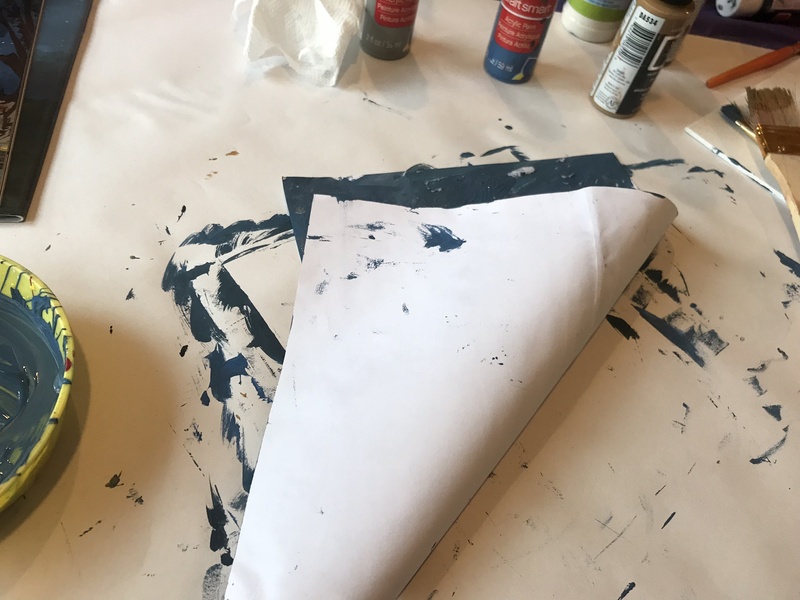 You can also fold the paper on a diagonal this time, to place the moon in a different position on the bottom of the page. This is a great way to demonstrate angles of reflection or lines of symmetry with your kids! 8. Time for the details! 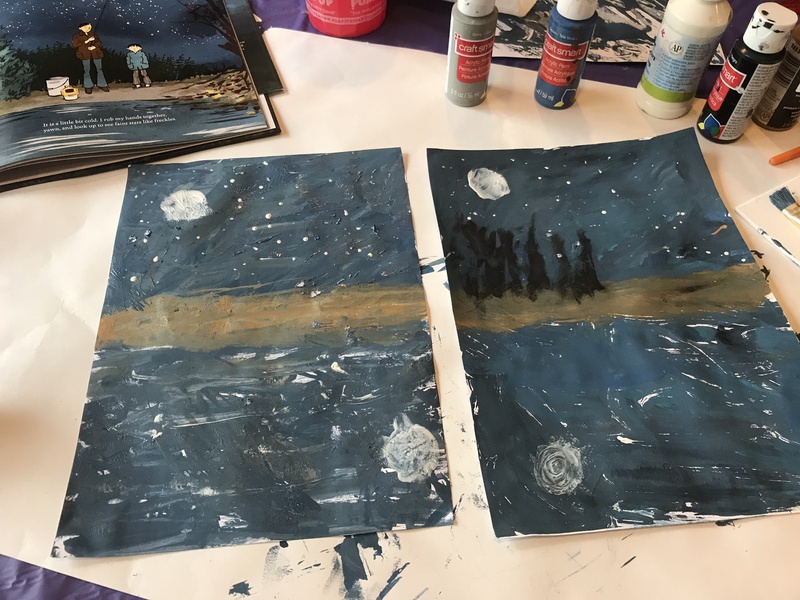 Use white paint on the back end of a paint brush to dot stars in the sky. 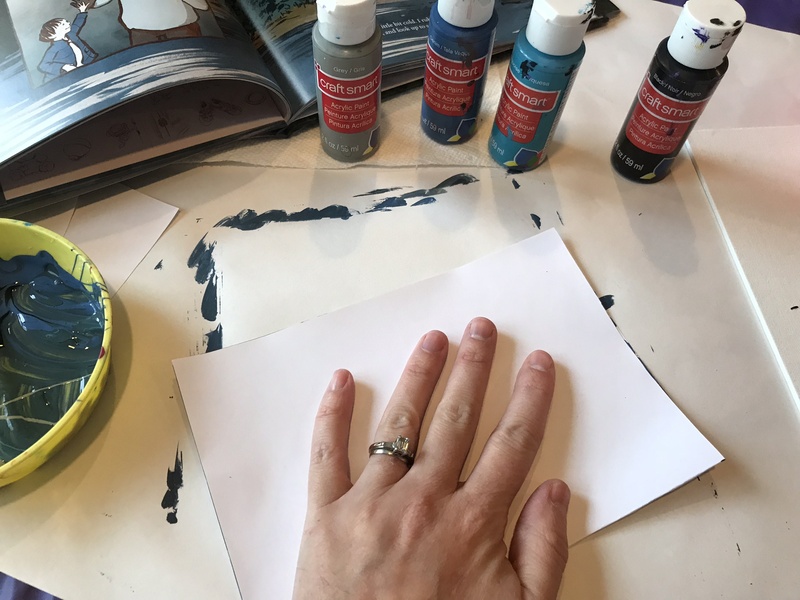 If you’d like, you can also use your black paint to sketch in tree shapes, silhouettes, or other defining features on the land. 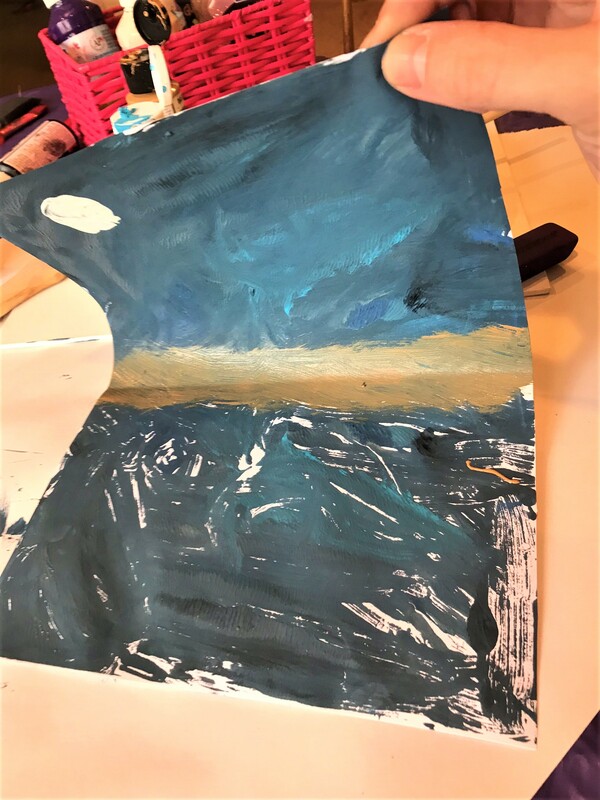 You’ve created a beautiful reflection painting!